The pencil design work before I coloured, The suit has been designed from scratch to be 100% functional and realistic. I was stoked with how the pencil linework scanned as was ready to make a real world. 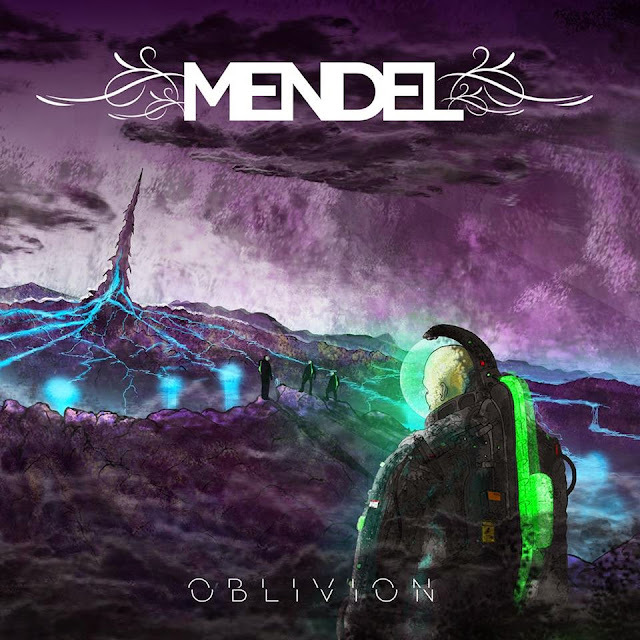 I had come up with the idea after listening to the title track for MENDELS - Oblivion. A brutal 63 minutes of instrumental metal. It is just excellent. I throw down some textures using some of my favourite textured brushes. There is hundreds for free all over the internet. This helped be get down a quick overall feel of the place and texture layout. I work on the direction of the light and how it will effect the scene. I then start working on clouds and lightsource. constantly refining. I then add the boiling hot liquid to the picture. In space blue is the hottest colour. I then start looking at the lightsource and other elements like mist, glows, shades and intense lightsource details. I also add the space person that I coloured in a separate document. I add small lightsouce to him and fit him it to the layered mist. Unfortunately I did not keep a jpeg record of this process. But will do in future projects. Thank you for checking out my visual diary of how I do things.